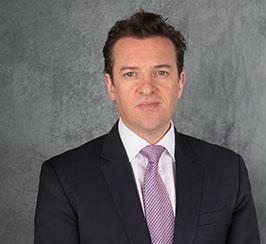 The Industry Research and Development Group (IRDG) has appointed our CEO, Dr John McKeon, to its Board of Directors. Dr McKeon joins the nine current Board members, all holding senior roles in leading research, development and innovation companies across Ireland. Dr. John McKeon is an expert in healthcare entrepreneurship as he is involved in early stage companies in life sciences, biotechnology & medical device sectors and also works with health care entrepreneurs and business owners to clarify their business models for scalable growth, rapid expansion or to take in investment. The IRDG is a non-profit, business-led Innovation Network of member companies and colleges, working together to drive excellence in Innovation within Ireland’s industry to create growth, jobs and prosperity. IRDG is unique as the only organisation in Ireland which is totally focused on business Research, Development and Innovation. The organisation has grown from 70 to over 250 member organisations in the past 5 years. IRDG member companies include both FDI and indigenous firms, from across all sectors of industry, and this unique combination provides a very interesting and powerful network.